When you think “pocket calculator,” your next thought probably isn’t “custom cabinetry.” But for Simon Winder in Seattle, his single-operation relay calculating engine, built over five years, with over eight months of full-time work, deserved nothing less. The cabinet was built by local artisan Matthew Richter. 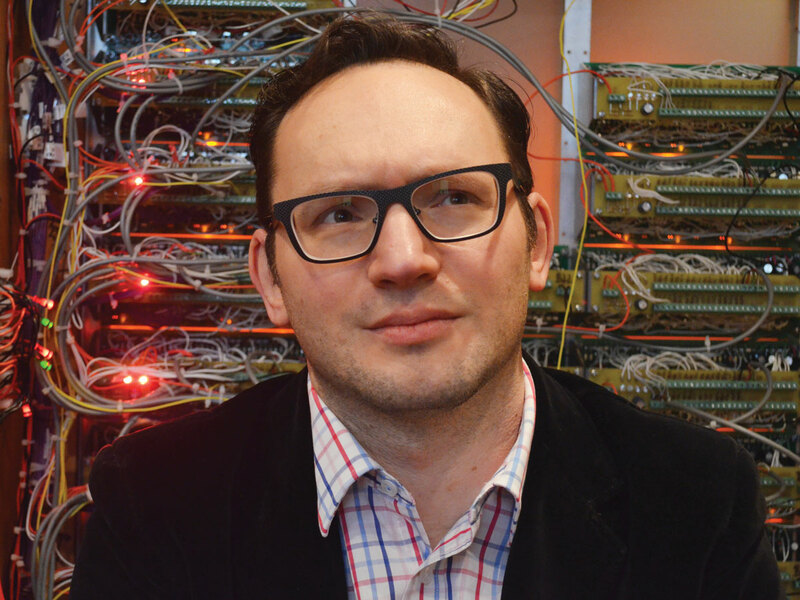 “You can easily see how these devices [electromechanical relays] are being used, in contrast to modern computers where the operations happen far removed from human senses,” muses Winder. The machine has one function: to calculate and display a square root. The user enters a number on a rotary dial, whose pulses are stored in binary by the system of relays. The start button activates a mechanical clock pulse generator that triggers every operation state with precision timing. A full calculation takes about a minute. While the operations cascade through 480 relay switches, hand-wired into circuits, each closing relay declares itself by lighting up with a satisfying mechanical clack. 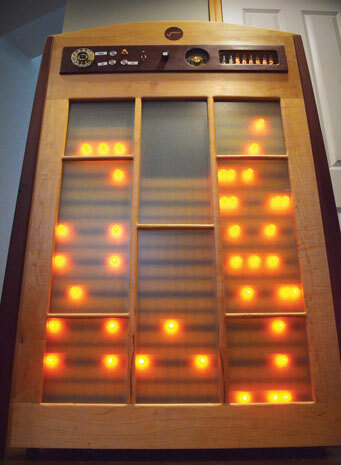 A bell announces completion of the final calculation, and the answer displays on eight nixie tubes. Winder will be bringing his fantastic contraption to Maker Faire Bay Area 2014.